It's that time of the year to step back and set positive resolutions! 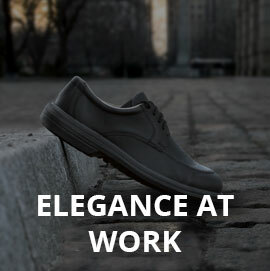 Everyone is convinced of the importance of wearing safety shoes, however men and women who actually have to, may be reluctant to wear them thinking them uncomfortable. Our R&D Office carries out a constant job to improve the fitting and selects the best fabrics and leathers for your comfort. Our footwear test campaigns confirm these developments. You can contribute to improve your daily life by taking care of your shoes, and also by using adapted personal protected equipment. 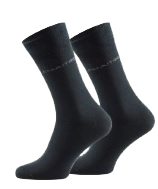 One PPE we can refer to are suitable and appropriate socks to improve your fit. A PPE which contributes more than you may think as it can significantly enhance the quality of your footwear. 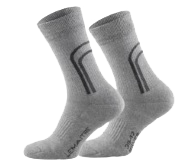 Sweat, friction, irritation, mycosis, all these hitches can be alleviated by a functional sock. 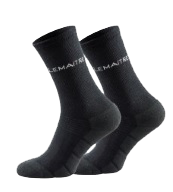 A functional sock combines a selection of specific materials (PES Coolmax® fibers, natural fibers, Lycra, anti-bacterial treatment…) and a design (non-friction band, semi-cushioned sole, breathable areas). 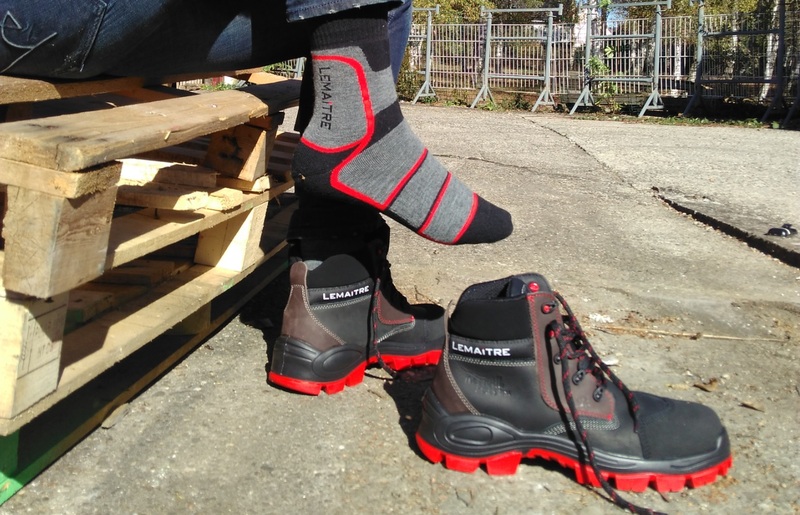 LEMAT / LEMATO, your allies on construction sites and in green spaces. 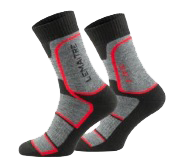 Warm (37% wool) and thick, LEMAT and LEMATO offer good thermal insulation for outdoor work. Thanks to Coolmax® fibers, humidity is evacuated and your feet remain dry. The reinforcement of highly strained areas and a non-friction band provides relief when carrying loads. Sober and elegant, a model that you can wear all year round. 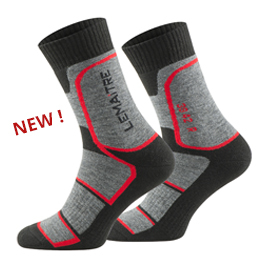 LEMIR sock is suitable for urban safety shoes. It provides effective and lasting protection to your feet thanks to its anti-bacterial and anti-fungal properties. 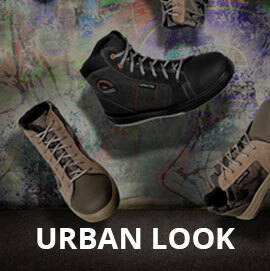 Sporty and breathable design thanks to the use of Coolmax® . Irritations are limited thanks to heel and toe reinforcements, and 4 massage zones in terry fabrics give you a pleasant feeling of comfort. Compatible with frequent bending, LINDOR is an airy model (hydrophobic fibers in its composition). It offers good thermal insulation and effective protection against odors thanks to its anti-bacterial treatment.